Spring is in the air. Birds are chirping. Bees are buzzing. Everyone in my house feels like death from allergies. But really, it’s so beautiful outside that it’s kind of hard to care. 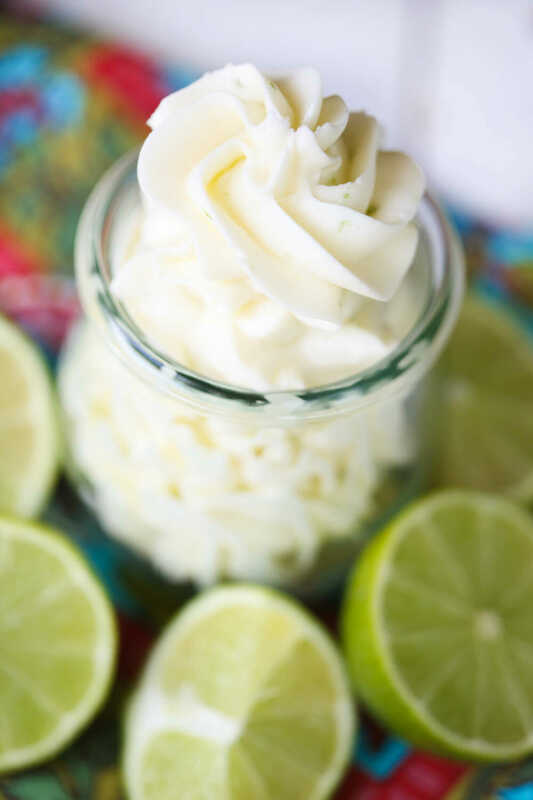 Warmer weather is around the corner and one of my favorite summer flavors is lime and coconut. 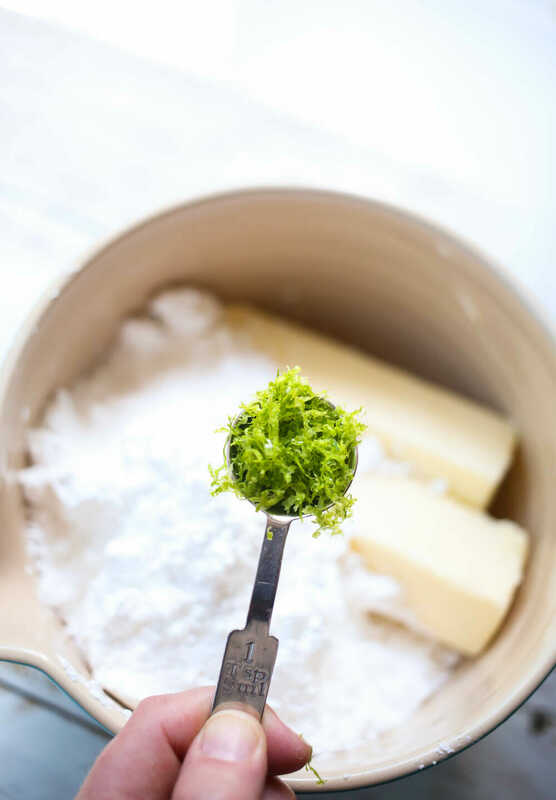 I recently needed to make some sugar cookie bars for an event, so I made this recipe and added a tablespoon of lime zest and a cup of unsweetened coconut to the dough. Then I frosted them with a double batch of this frosting and they were amazing. 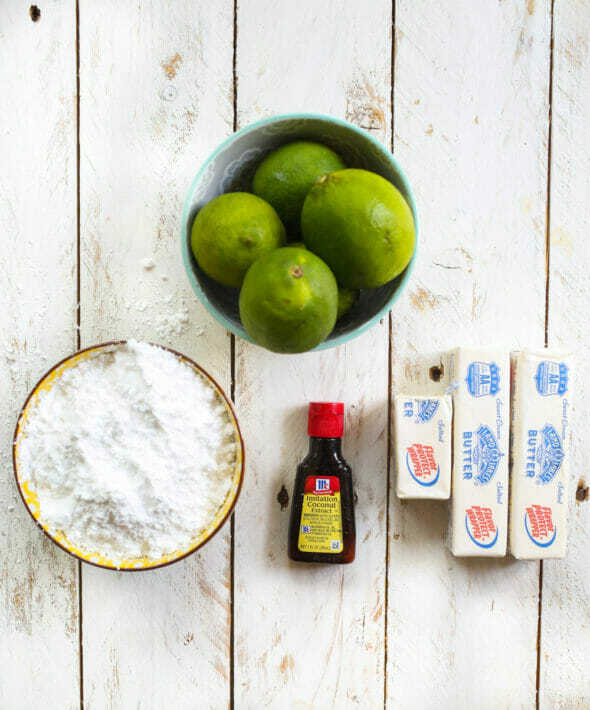 To make this frosting, you’ll need some salted butter, powdered sugar, a few juicy limes (you’ll need the zest and the juice, so make sure they’re pretty good limes all-around), and some coconut extract. And beat on high speed with an electric mixer until light and fluffy. Pipe on top of vanilla cupcakes, spread on your favorite yellow cake, do the whole aforementioned sugar cookie bar trick, spread it on top of sugar cookies, or sandwich it between graham crackers or Nilla Wafers. This fluffy, creamy frosting is the perfect tropical-inspired topping for summery sugar cookies, cakes, or sandwiched between graham crackers or Nilla Wafers. 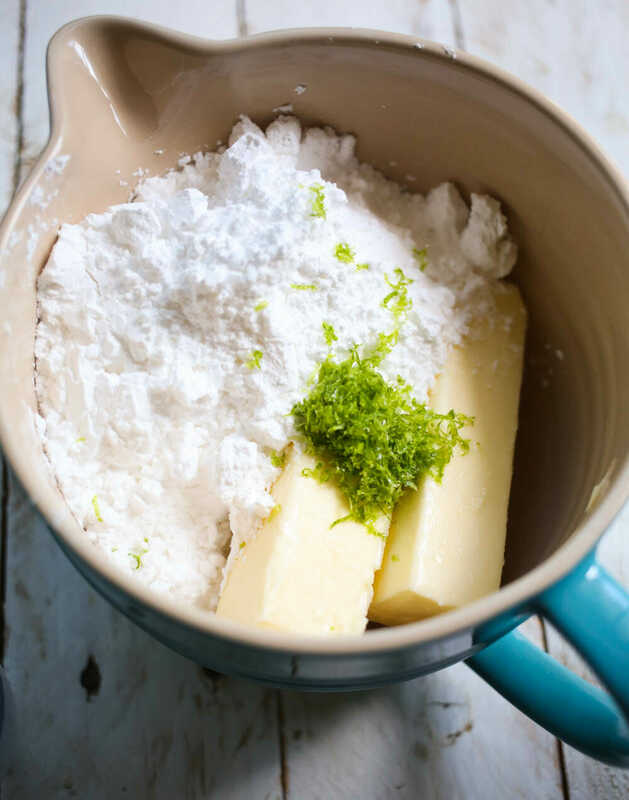 Add ingredients to a large mixing bowl or the bowl of a stand mixer and beat on high speed with an electric mixer until light and fluffy. Holy moly. One more reason I need to be your neighbor. 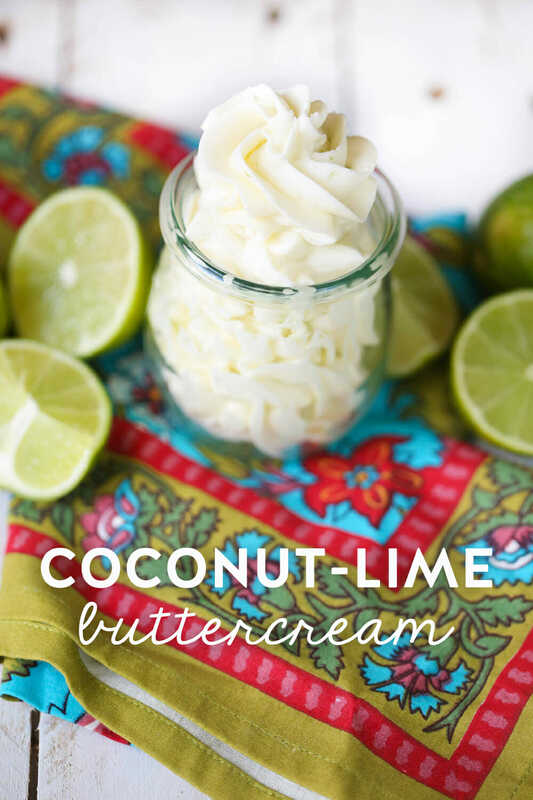 Except I think you should move to me…..
Have you ever made frosting with coconut oil? 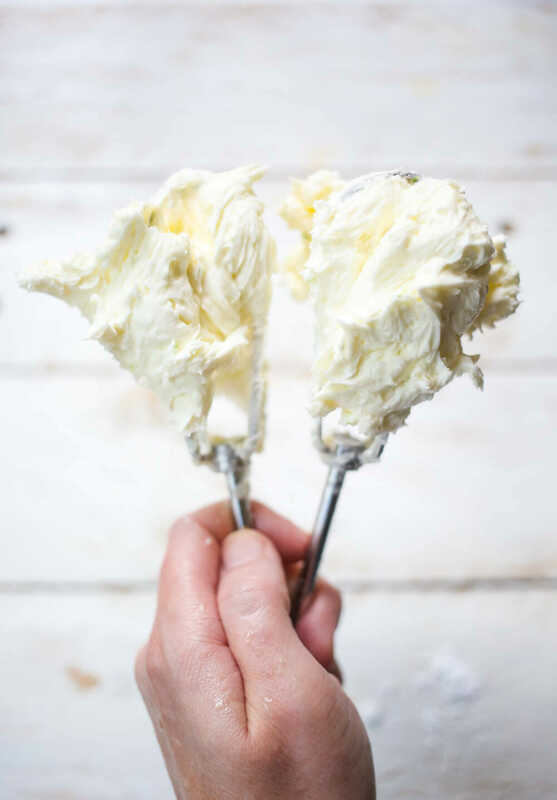 I used to made a cream cheese coconut frosting with butter and coconut extract, until I got crazy one day and used coconut oil instead … The flavor was so much more true and rich! You just have to be careful to store and serve them at the right temperature in the summer ? 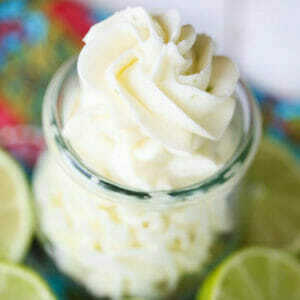 This looks so yummy, I’ll have to try it with coconut oil! I haven’t, but I’ll have to get it a shot! Sounds so good! That sounds amazing! We use coconut oil for tons of stuff! This sounds very intriguing, however, I hate coconut. Is the coconut extract in this recipe more like the coconut syrup in the dirty diet coke or more like real coconut? Because I LOVE the dirty diet coke. If it’s like the dirty diet coke, I’m totally game! Thanks!!! Just made this!!! It is delicious! I had to add more coconut (probably because mine is a cheap brand! ?) love it! Oh my goodness, I’ll need to try this… I’ll have to wait until we have company or need to bring a dish somewhere, otherwise, I will be the only one eating it, haha!